We are keen that professionals have access to training to better understand the needs of Young Carers. We hope this will improve understanding of the support Young Carers may need and how this could be delivered within the service those professionals provide. We hope by increasing awareness and understanding of the needs of Young Carers that many more young people will be better supported and go on to achieve their potential. We have two training opportunities that we currently offer and deliver these at our office space at regular intervals. These are both offered free of charge and are detailed below. Please note that, if you have a large number of professionals within your organisation who would benefit from training it may be possible to deliver this in your setting. If you would like to discuss this then please get in touch with us via schools@warwickshireyoungcarers.org.uk. This training provides a greater understanding of the role of a Young Carer, the sort of care they may be providing and how professionals may be able to identify them. 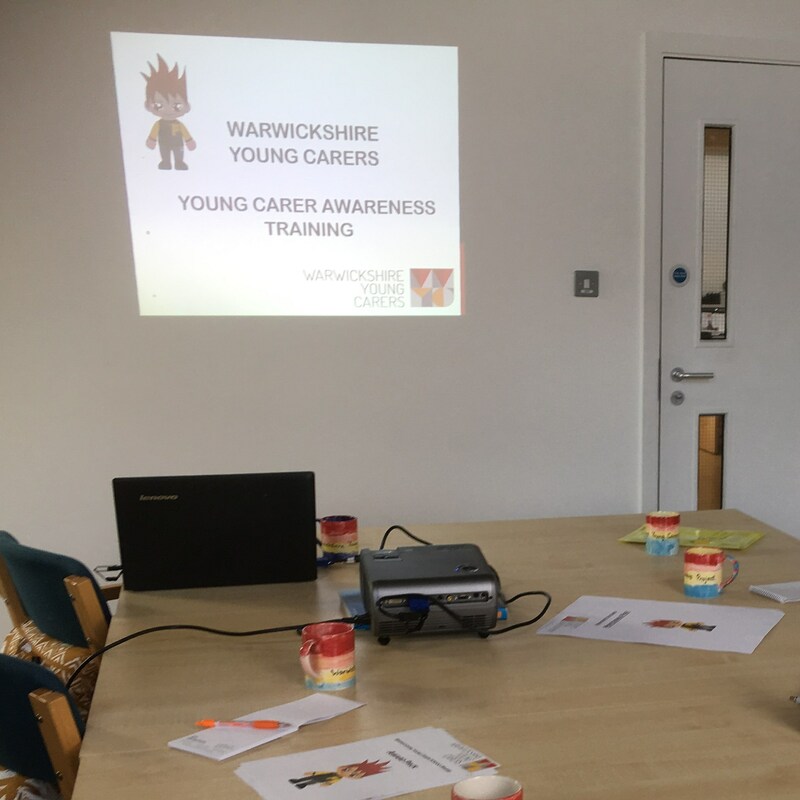 The training also explores the support that professionals can provide Young Carers as well as explaining the work that Warwickshire Young Carers does. The training is open to practitioners working in a wide range of backgrounds related to working with children and young people. This might be either on a voluntary or paid basis. This training provides a greater understanding of the role of a school lead and what is involved in the role. It also explains the Warwickshire Young Carers Schools Award in more detail and what is involved in completing it. This training is aimed at School staff who are currently or intend to be the lead point of contact for Young Carers in their setting. For further details and to book a place on either of these training sessions please visit our Eventbrite page. For further information about either of these traing opportunities please email us at schools@warwickshireyoungcarers.org.uk.